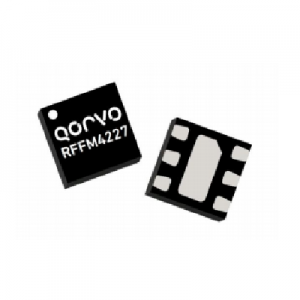 TGA2760-SM - high gain amplifier - RFMW UK, Ltd.
Qorvo’s TGA2760-SM, is a 3-stage, high gain amplifier designed for ease-of-use in point to point radio systems. 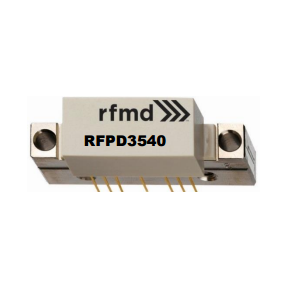 Featuring a frequency range of 9.5 to 12GHz, it offers 33dB of gain from its 3-stage configuration. P1dB is up to 38dBm while Psat is rated at 42dBm. This amplifier is equipped with an integrated power detector and requires no external matching components. Developed using both GaAs and GaN, it requires a 7V source with up to 1300mA and a 28V source with 260mA. It’s offered in an 8x10mm SMT laminate package. 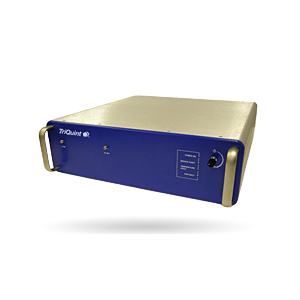 The TriQuint TGA2760-SM is a Power Amplifier with an integrated power detector. 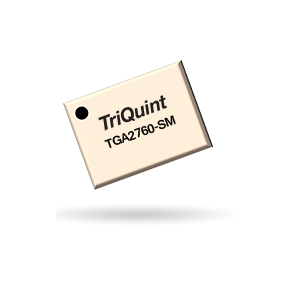 The TGA2760-SM operates from 9.5 – 12 GHz and is designed using TriQuint’s power GaAs pHEMT and GaN HEMT production processes, and typically provides 42 dBm of saturated output power with small signal gain of 33 dB. 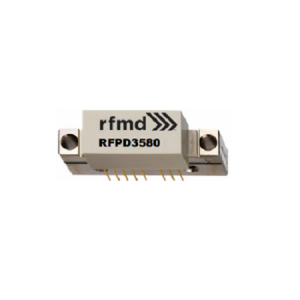 It is available in a low-cost, surface mount 20 lead 8×10 laminate package and is ideally suited for Point-to-Point Radio.